What purpose will this serve? Why would saying no be a bad option? Can my time be better spent on something else? Could someone else do this for me? You might not have a satisfactory answer for 3 out of 4 of these questions. If the answer for the remaining question is a compelling reason to say yes, then do exactly that. This isn’t a formula; these questions are a guide. Sometimes it’s as simple as believing you’ll find a quick, efficient way to learn something. Or to answer a question that will help move your business forward. You rarely learn anything by avoiding challenging situations or avoiding opportunities to grow. If it looks like something that will aid you in your career development, then say "yes". Saying yes to someone with an idea that may not be all that great, could shine a light on something that has never been considered before. It could change the direction of a situation and break through a wall that has seem insurmountable in the past. It could be just a simple option or idea, like a tiny beam of light, in a dark corner. Say "yes". You could be encountering an opportunity that in some way will change your life. How can you pass that up? 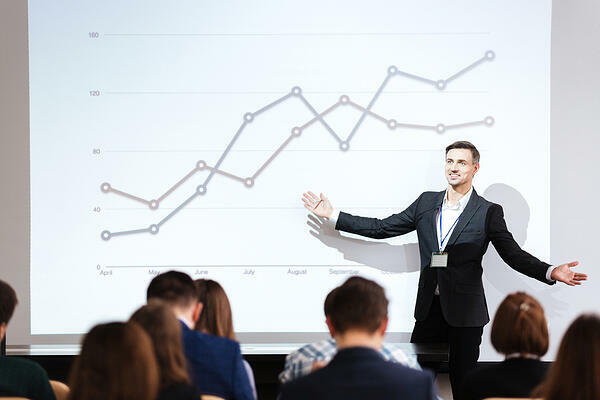 Despite your fear of public speaking, when given the opportunity to speak at a conference, you might meet the person who will help you help your business accelerate. So, go ahead, say yes. Being a person who says yes gives others the impression that you are a positive person, an optimist, and they will be drawn to you. If you are always seeing the negative side of an issue or always saying no, it will affect you psychologically, as well as affect others who may want to interact with you (or maybe NOT interact with you). Say "yes"! No is a survival word, it’s the word you say to your child when they are making poor choices. No is a word you say to someone who wants to cause you harm or wants to lead you somewhere that may cause you harm. "Yes" is a thriving word, it energizes, encourages safety and trust and makes creativity grow. When you feel neutral to slightly negative, say "yes" instead! Sometimes to grow a business, you need to give people the impression that you can do something that you’ve never done before. You have the resources, you have the knowledge, you just have not been afforded the opportunity to prove yourself yet. Maybe the person asking who wants to invest in you and your company. It might give you a “deer in headlights” moment. If you have the knowledge and the resources, and all you need to do is put it into motion, despite the bright headlights, say "yes"! Saying yes to being helpful is another great opportunity to grow a positive and optimistic point of view. Help someone who helped you. Help someone who might be able to help you, but don’t hold them to it. (No one needs that kind of pressure or negativity.) And definitely help people without the ability to return the favor. It doesn’t matter who you’re helping, just say "yes"! Conclusion - Getting to "Yes"
If you've made it to this point, you are trying to learn to say yes. Or are carefully balancing an important decision and trying to get to a positive response. Attend a networking event, even if you hate networking. Have an objective for attending - meet your new salesperson, see what local startups are working on, working on your fundraising pitch - walk up to the first person and go. Explore moving your company into a coworking space. Sure, it feels non-traditional, but focus on the benefits. Think about why successful corporate giants like IBM, Salesforce and Microsoft are adopting shared workspaces over owned offices. Eliminate clutter! Not only office clutter, but mental clutter too. Say yes to getting focused. Do not get overwhelmed. Do not try to change everything overnight. Do it all in baby steps. You can’t change everything in one day or a week or even a month. Say yes to taking the first step. There are many ways that saying yes can help your business grow, even if at first consideration it seems like a poor use of time and resources. It will help you advance into a positive, optimistic person who people like to have around. You’ll be the first vendor that a customer contacts, because you’ve given the impression of being positive, and helpful. You’ll be the business that an investor will want to invest in, because they will see the confidence of someone who wants to advance and grow. Just say "yes"!